- We have chosen the books we have for a reason. We do add things periodically, but the list is curated to include some of the best books (for their popularity, content, ease of understanding, and availability) on the topics listed. We do take recommendations, but it has to be something at least one of the founders has read and can readily recommend to be added, or something of a seminal work (the Kalevala, for instance). - We do not often approve books that are not on our list towards the dedicant program. 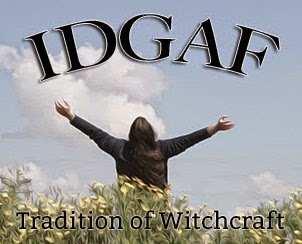 Once you are initiated, you still are expected to read and experience to further your membership in IDGAF - but the books at that point are your choice and do NOT have to be on the reading list (but should still be relevant to your studies). For these reasons, we do ask that you try to read from what is listed. -If there is something you want to read that is not on our list, and it is something that is relevant to your learning path, please contact your mentor. You would have to make a really good case for the book you want to read, and the founders would have to decide whether it is something that is within the scope of our tradition. Even then, we may not approve it as a part of the dedicant program. Please do not request more than 2 books that are not on the reading list - save those books for your initiation reading! The following books are out of print - we highly recommend reading them if you come across them (the non-fiction can be included in your reading)!